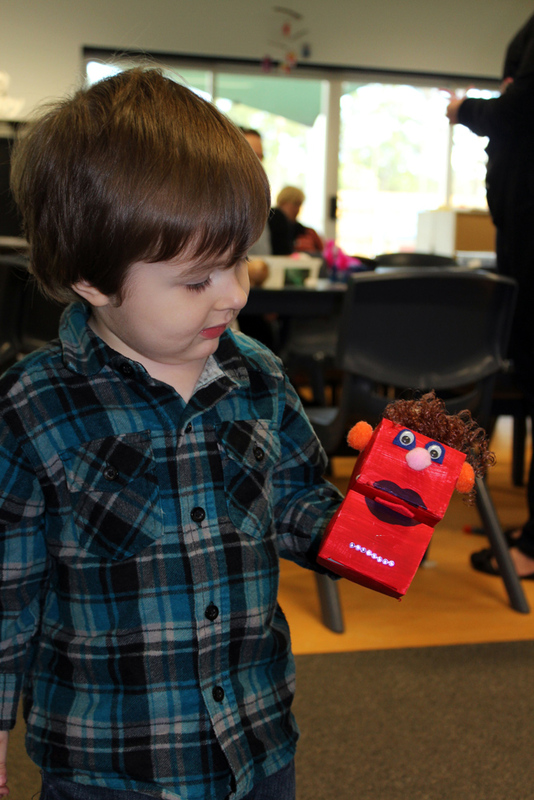 During play group craft today we made what you call “a funny guy” who you just love. He’s got a funny tongue that pokes out, googly eyes, pom pom ears and nose plus of course curly hair. You were very proud of him and took him to show Nanny. It’s really nice to see the simple things that put such a huge smile on your face.